It is not a lipstick, nor is it a gloss. Its like nothing you have experienced before. It is liquid lipstick that goes on with full Xtreme color and intense shine. 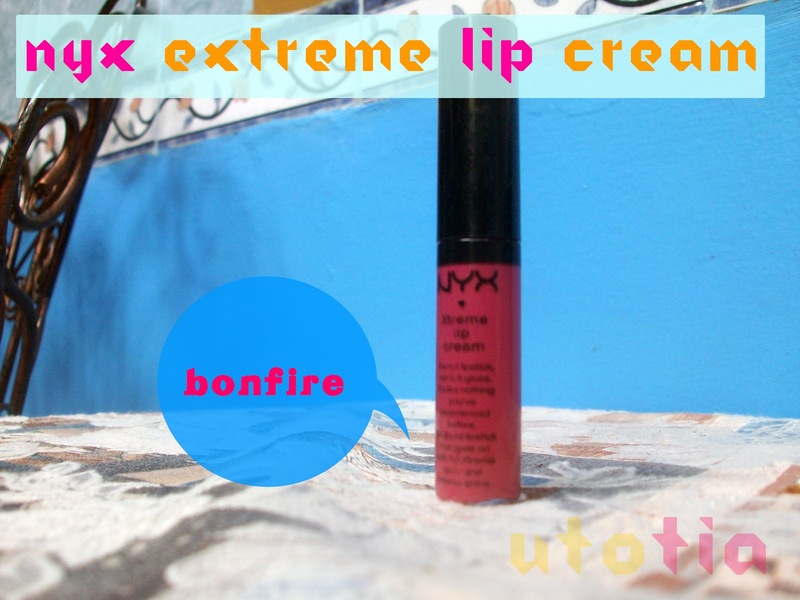 This time I will share to you about my current favorite lip product: NYX Xtreme Lip Cream in Bonfire. I fell in love for the first time when I try this Xtreme Lip Cream at NYX counter in Plaza Semanggi. Well, at that time I tried Absolute Red and Strawberry Jam, but ended up not buying them. 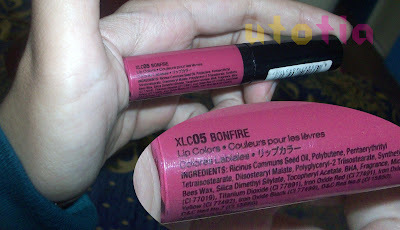 So, last September, I tried on my luck to buy this Xtreme Lip Cream, and based on my Mom's advice, I finally purchased myself this shade; Bonfire. The packaging is simple but not boring, in my opinion. The size is just right and it fits my makeup pouch, and when I have to use small bag, this product doesn't cause me any hassle. It comes with an ordinary applicator, like any other lip products which come with applicator. I don't really like the applicator, though. 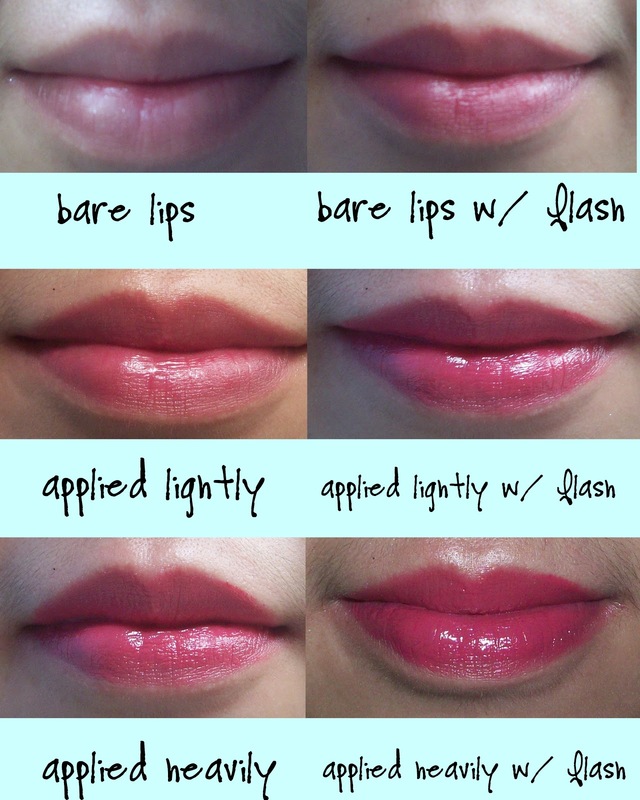 I prefer the cupid-bow applicator because it will be easier to apply the product. It contains Bees Wax, which is claimed to be superior to mineral oil based creams, such as petroleum jelly to keep the moisture on your lips. Moreover, it also contains Ricinus communis Seed Oil aka Castor Oil which was traditionally used on the skin to prevent dryness. I guess that's why I feel that my lips stay moist under this product. The texture is very creamy. I guess it won't spilled even if you accidentally left the products open. Though it's creamy, it feels really lightweight on my lips. My lips are moisturized without any heavy feeling. You can totally skip the lip balm as this lip cream is extremely moisturizing. I also love the scent, it has a very soft scent, for me it's like the scent of cake fresh from the oven (well, a little bit of exaggeration, but yes, it smells like cake). As you can see, you can wear it differently depending on what you prefer. If you want to look fresh and natural, you can apply it lightly (1-2 swipes) or if you dare to look bold, you can apply it heavily (2-3 swipes are more than enough). 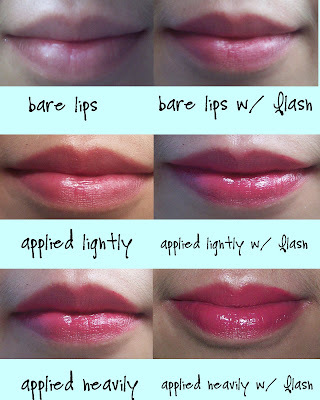 I personally love the heavy application because I love how this lip cream accentuate my lips. This is especially when I don't have any time to do the makeup, just 2-3 swipes, and voila! It brightens up my face instantly even if I don’t have rest of the makeup on. It also has great staying power, it can stays up until 7 hours if you don't eat. But, even if I eat or drink something, it doesn't disappear instantly, I can still see it on my lips, though it's minimal. 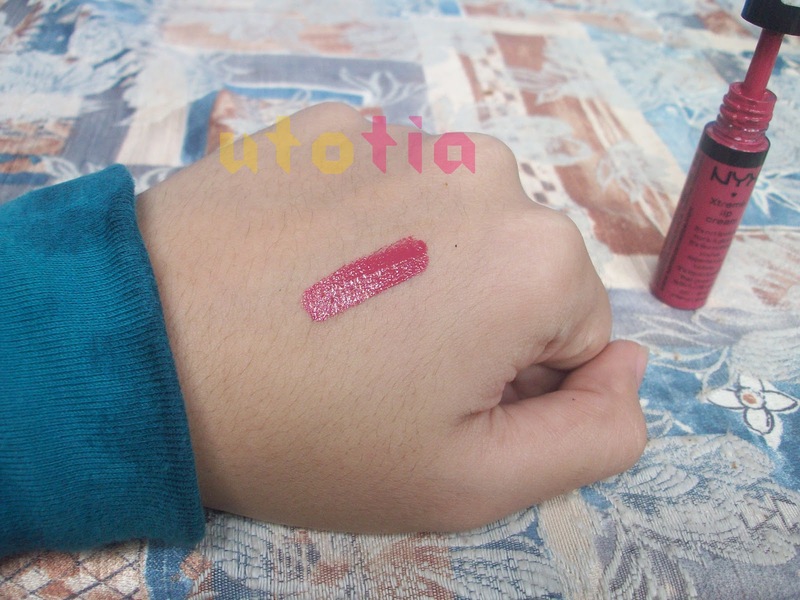 This product is a really great lip product for everyone, especially those who are always in hurry and those who are too lazy to wear lipbalm-lip color. This is because you can wear this and get the benefit of both lip balm (it moisturizes your lips) and lip color (the color is greatly pigmented). Moreover, the price is quite affordable for this highly pigmented and moisturizing product, it's around Rp 70.000 - 87.000,00 in local online shops. 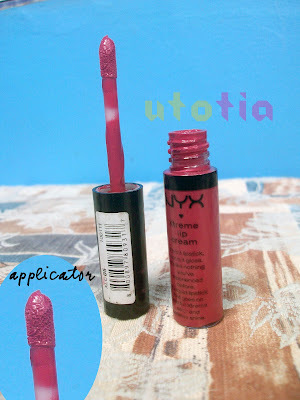 You can get this at the NYX counters in department stores too, but I don't really know the price. You can buy this at Oh! So Comely and you can get 6% discount by mentioning this code UTOTIA6. 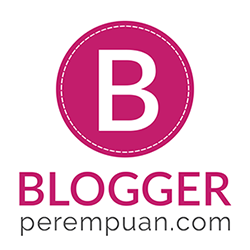 Haeyyy isti ^^.. Baru pertama kali maen ke blogmu.. lucu... banyak awan2 nya.. aku juga mau beli ini nih, tapi masi maju mundur hehehe..